Bernard Pugh has made some secret discoveries in hidden crates in the museum and plans to tell everyone the entire truth about the Knights Of The Round Table. Guinevere and Sir Lancelot didn't plot against Arthur, they were set up. They died and were exiled wrongly. He's excited and lets Charlie into his secrets. If you have read the previous two books in the series then you'll be able to guess what happens next. Charlie has his own secrets, in a shed on their property he and his brother discovered a time-travelling plane belonging to the previous resident. Charlie wants to go back in time and tell King Arthur the truth - saving Guinevere and Sir Lancelot. The text is beautifully written and the storyline never boring. It heads off seamlessly in directions you don't forsee and the entire Arthurian world is explored. I must confess to knowing very little previously, so I've learned a lot, even if most of it is legend and myth. The children face genuine peril and there's a maturity to the story that will suit young readers around 10-13, you are never truly certain they'll all have a happy ending. 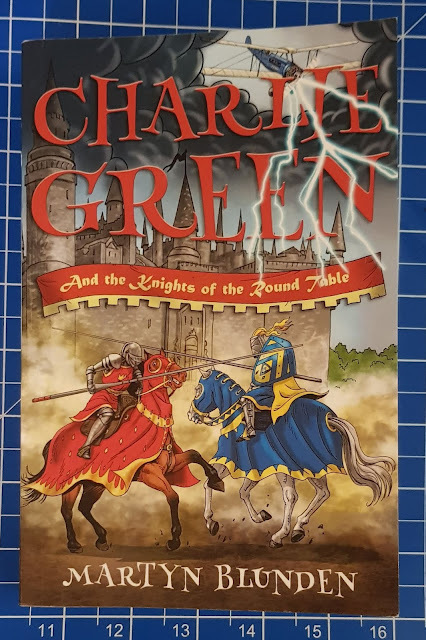 Charlie Green And The Knights Of The Round Table is really a modern day fairy story. Good versus evil, loyalty vs lies. Add in swordfighting, magic, a King, a castle, a wizard, a dragon and a tiny bit of side-of-stage romance and you really have everything. A great story which is full of excitement and really makes me want to research Arthur and Lancelot more - clearly this is the author's intention as he has a few pages of information about characters, places, events and objects at the back of the book. Fantastic for confident young readers aged around 9+ who like fantasy and history. Charlie Green And The Knights Of The Round Table is written by Martyn Blunden and published by Matador, 336 pages, paperback. Available to buy now priced £8.99rrp from all good bookshops, including online at Amazon (*aff). 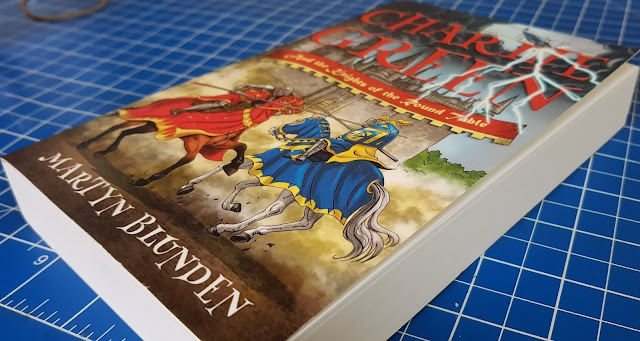 We were sent our copy of Charlie Green And The Knights Of The Round Table by Matador for review. *Amazon links are affiliate, which means I earn a shilling or so as a thank you for my time if you order through my link, but you won't ever pay any extra. I loved your line, what would we do without flowers.